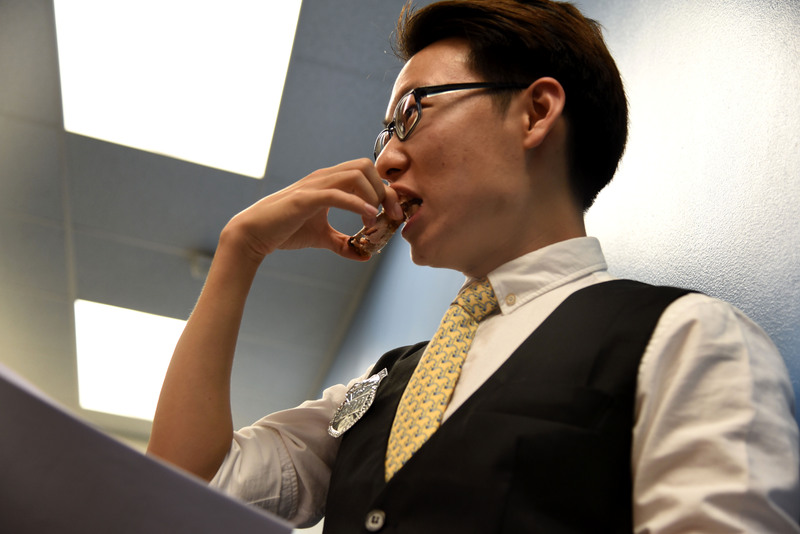 Yuanhong Cao, a sophomore studying computer science, spends almost all his free time acting in a Chinese theater club. The theater club is where he spent most of his time the last few months. He played a role as a policeman seeking the truth in a criminal case in the play “Crucial Witness”. He spent at least 20 hours a week in rehearsals, and he said he enjoyed acting in this play with his heart and soul. He is crazy about acting, even when he is home, he keeps listening, watching and imitating classic theaters. At the end of October, he acted in his play for public over the whole weekend and said those were his most amazing time he had in this semester. After the play, he went to different shows, plays and musicals many times. Every time he brought scripts of each play with him to help him learn more. For his theater club, he still contributes to it every week. He went to be one of the extras of his club’s film; he went to help with rehearsals of other plays; he went to help for the final show of his club even though he didn’t perform in it. He is an acting madman doing what he loves. 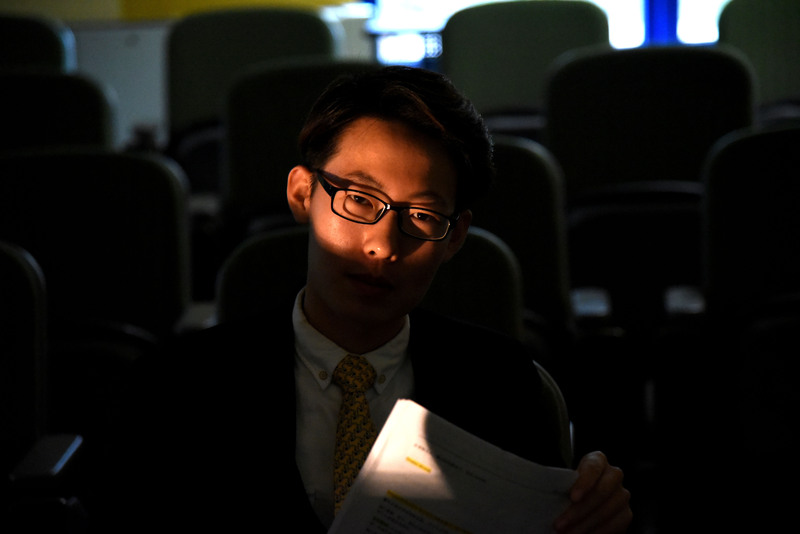 Yuanhong Cao learns his lines in the rehearsal room at Chambers Buildingon on Oct, 28, 2017. He said it was not respectful to his audience if he blew his lines. 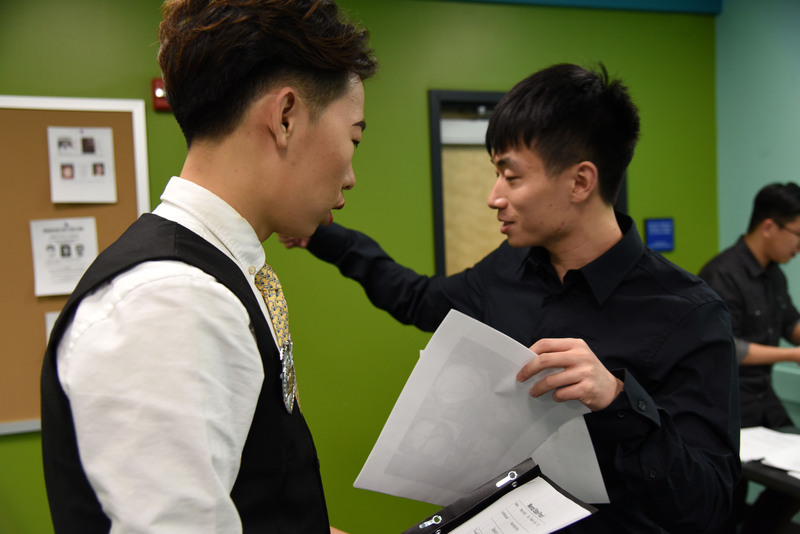 Yuanhong Cao discusses with his director, Sheng Zhi, about how to act like a real policeman at Chambers Buildingon on Friday, Nov. 8, 2017. Cao tried his best to play a role as a policeman. 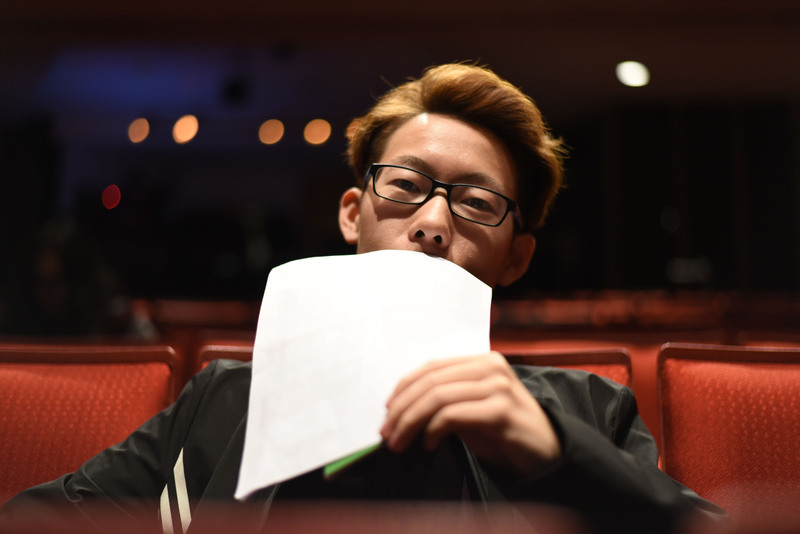 Yuanhong Cao eats his dinner during his break between rehearsals while he is taking his script with him at Chambers Building on Saturday, Sep. 30, 2017. He was too busy to have a meal during rehearsals. 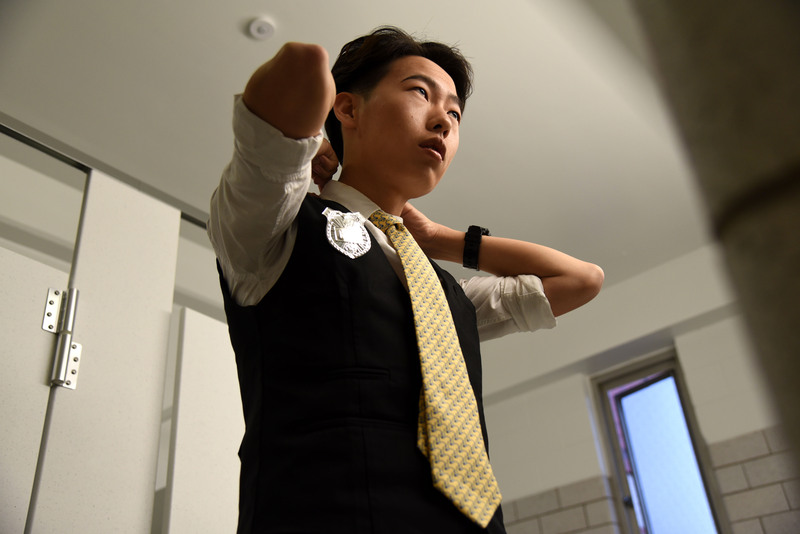 Yuanhong Cao adjusts his tie in order to show his best image to his audience at Chambers Building on Friday, Oct 28, 2017. He tried his best to do everything prefect in acting. Yuanhong Cao shouts out to his partner Helen Zheng since they are in conflict about who is the murderer at Chambers Buildingon on Friday, Oct, 28, 2017. 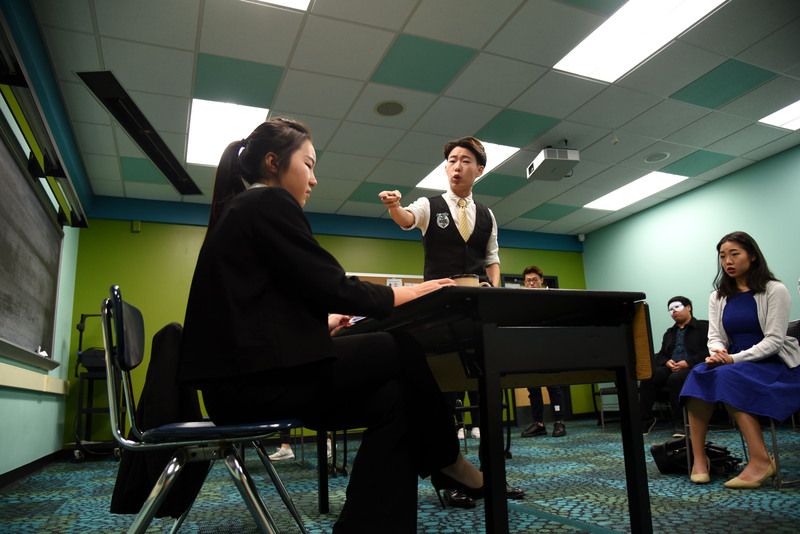 Cao played a policeman searching for the truth of a criminal case in his play. 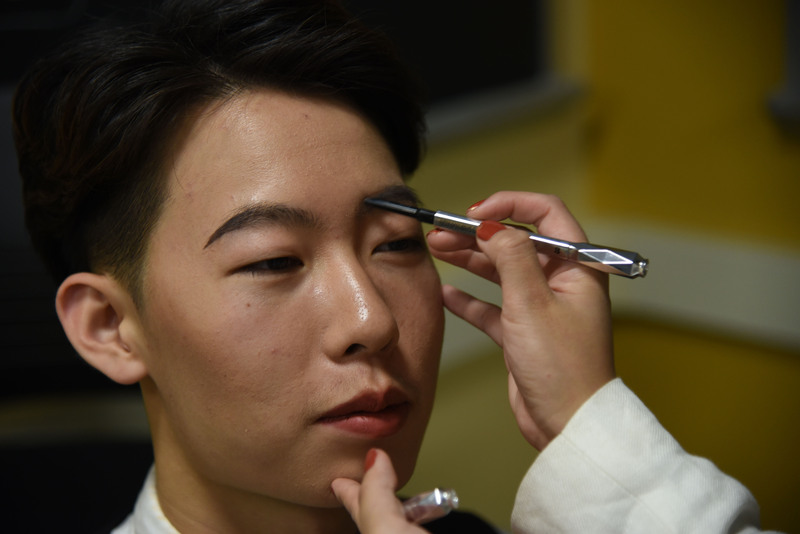 Yuanhong Cao focuses on his makeup before the play at Chambers Building on Friday, on Oct. 28, 2017. He said he felt so nervous before the actual performance. 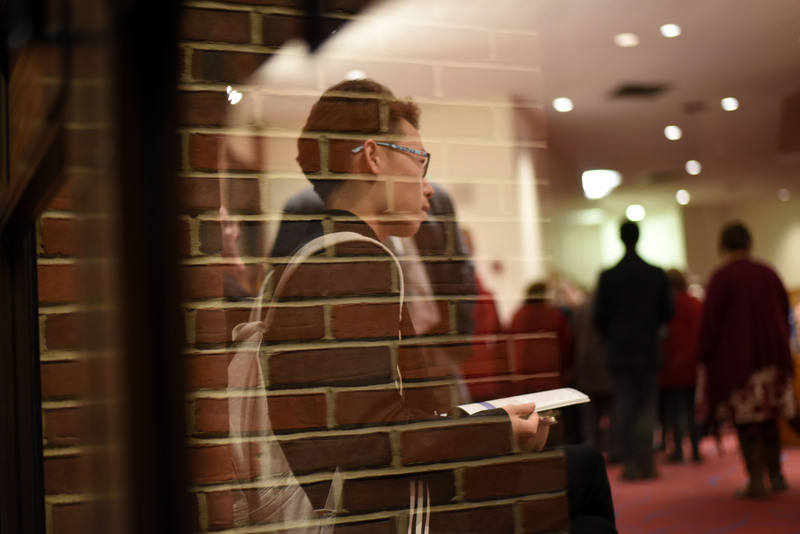 Yuanhong Cao waits for the musical“The Sound of Music”on Nov. 27, 2017 at Eisenhower Auditorium, in State College, Pa. He always watches different plays to learn more about acting. Yuanhong Cao thinks about the script of the upcoming play at Eisenhower Auditorium on Wednesday, Nov, 17, 2017. He brought scripts every time when he watched shows. 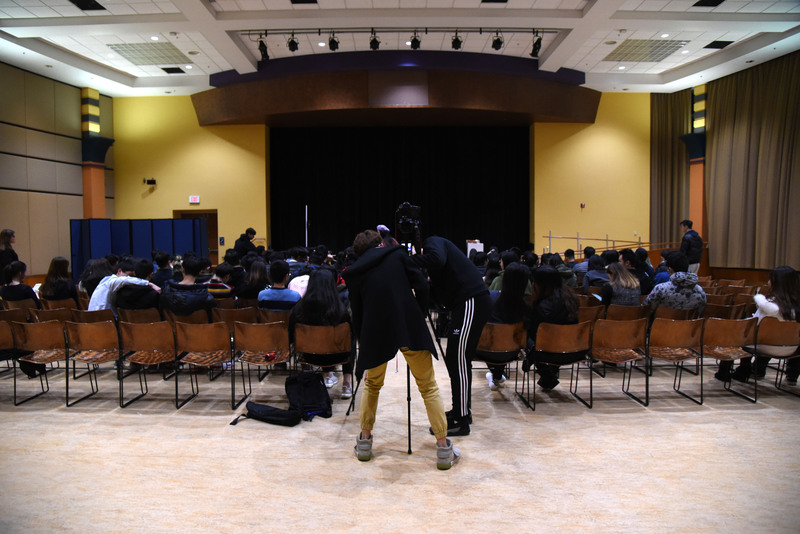 Yuanhong Cao helps to set up the camera for his club’s last show this semester on Dec. 3, 2017, in State College, Pa. He always enjoyed contributing to his theater club though he didn’t play this time.